Hey, some cool things going on locally. Should keep my mind off brookies the next few weeks, and if you're in the area (maybe getting that last bit of summer vacation time in), you should stop by too! Events begin at 9:00am and continue through the day till 6:00pm. Burgers and Hotdogs from 12:00pm to 2:00pm with drinks all day. Casting and fishing platforms on Oyster Creek pond. Fly tying in the shop times to be announced. "Join us at the store for a cold beer or two and some excellent BBQ for this years Floodtide Festival! Like years past, we will be setting up in the parking lot "block party style" looking to have a good time. This year's raffles are even better than the last; you can expect to see some great prizes. 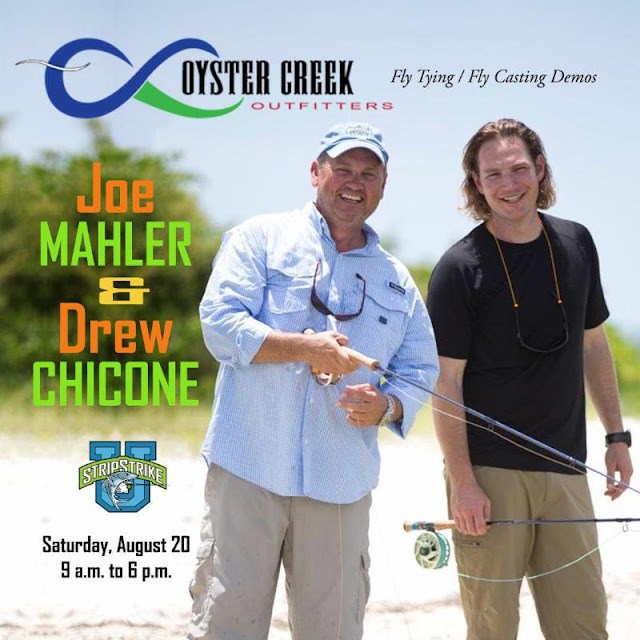 We have four fly rods, a Nautilus reel, Hatch pliers, and much more! In addition to great prizes we have some exceptional guest speakers this year! Jon Cave of Sage Fly Rods will be giving a casting clinic, Michael Schmidt will be inside tying some of his signature flies, and Jako Lucas will be representing Thomas & Thomas Fly Rods and Alphonse Island Resort! 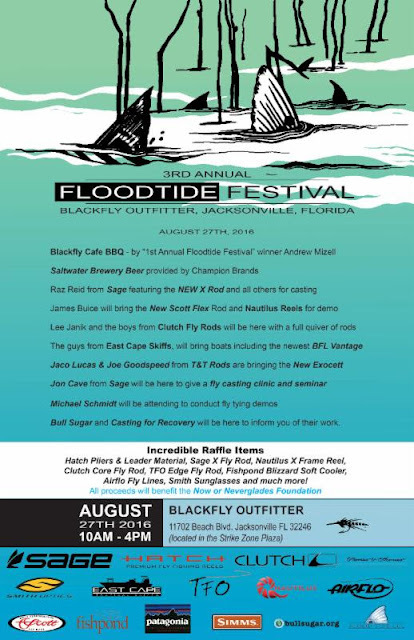 All of the proceeds this year are being donated to Bull Sugar's Now or Neverglades Campaign, so come out for a great time and help us raise funds and awareness for the water quality issues in South Florida. We look forward to seeing you!"